Glass shower doors, while adding beauty to your bathroom can become a huge headache when trying to keep them clean, clear and free of water spots and soap build up. Water damage (caused by minerals in our water) can occur on new glass within two months of installation. 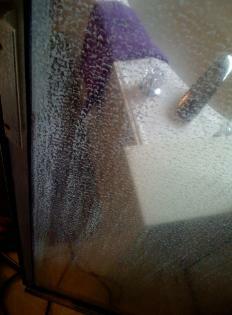 Since glass is porous, the hard water stains you will eventually see, are in the pores of the glass, not the surface. People tend to use all types of over the counter cleaners that in most cases do not get the job done and in some instances will damage the glass. People also use razor blades, abrasive sponges, brillo pads etc. that also will cause scratches. Razor blades, when used properly, (on a wet surface, using a gliding agent and only going in one direction) will not scratch glass and very fine steel wool (0000) also will not scratch glass. This is the type that All County Windows uses and all employees are trained with. When lawn sprinklers continue to hit your windows day after day, the same principle happens. 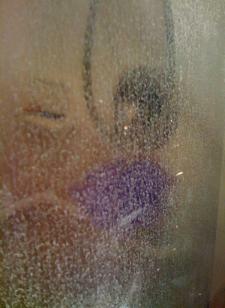 You get what looks like permanent water spots on the glass, which will not come off with regular cleaning. This will only get worse if the sprinkler heads are not adjusted. And can permanently damage your glass surface. 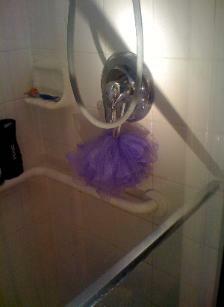 We can remove hard water stains from your shower doors, and other glass. 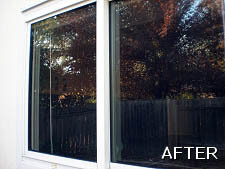 We can make your glass surface look and feel new again. After this process, we then apply a coat of ENVICOAT®, which is a blend of synthetic polymers that are designed to alter the properties of glass surfaces in such a way as to cause water and foreign debris to be repelled from the surface. When Envicoat® is applied to a glass surface it causes the surface to become hydrophobic. If you are selling your home, a shower door restoration has become almost a necessity. With the growing number of restorations All County Windows has performed, you cannot afford to show your listing without first having your shower door restored. Can you live with that cloudy, water-stained shower door? 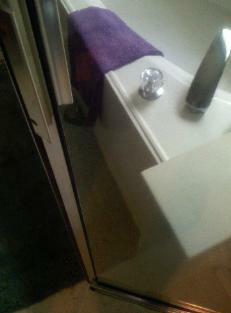 *Disclaimer: Shower door restoration assumes only the inside glass, exterior glass will be cleaned the traditional way. Shower door restoration does not include the frame, tile grout or fixtures. 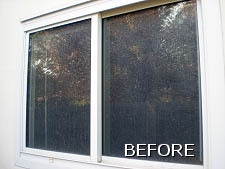 We are not responsible for shower doors/windows etc that are permanently etched or damaged. Results may vary.